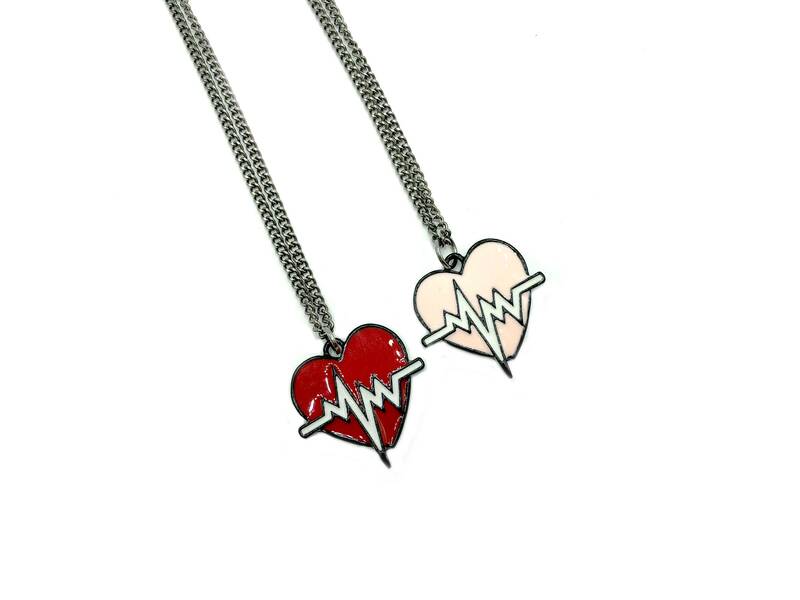 Heartbeat necklaces, available in pink or red and in multiple lengths. Lead and nickel free. Gunmetal tone chain.